is a moving, funny and inspiring new musical about the wonder of childhood, and the struggle to hold on to that wonder as you grow up. Chaotic, open-hearted and imaginative Milo is Sam’s only friend. They do everything together. But as Sam’s first day at secondary school approaches, his mum is worried that the mischievous Milo is holding her son back, stopping him from growing up. School turns out to be full of surprises – and secrets. Can Sam and Milo’s friendship survive in this new world, where a painful revelation threatens to change their lives forever? Since 1976 the award-winning National Youth Music Theatre has represented the very best in work with young people in musical theatre, leading Andrew Lloyd Webber to describe it as “the best youth music theatre in the world”. will go directly to them in order to continue providing opportunities for future stars for years to come. 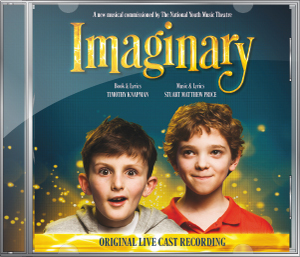 ✭✭✭✭✭"The tone of the show goes seamlessly between adventure, humour and just a touch of sadness - all handled with great aplomb by this young sterling cast … Imaginary is a corker! Do yourself a favour - go out and buy it!" "Price's music is one of the show's greatest assets, consisting of divine orchestrations by Charlie Ingles, paired with stunning vocals … the harmonies are also pitch perfect and are balanced exactly right within the tone of the production … certainly a show to look out for in the future and is destined for great things going forward … the perfect musical for children and adults alike." "Imaginary is just a lovely thing indeed. Price’s score has touches of the playfulness of Matilda and the gentle emotion of Finding Neverland too. Unexpectedly there’s also hints of the dark folk style of The Grinning Man but best of all is the establishment of its own identity and the way that this thematic cohesiveness carries across the whole show. Charlie Ingles’ dreamily lush orchestrations certainly help in this respect … In the fashion of all the best kids’ shows, there’s much for the grown-up kids as well … I could listen to the swooning melody of ‘All The Fun You Had’ forever and never tire of its beautiful lyric … the bittersweetness of the shows ending is just perfect, pragmatically British rather than devolving into schmaltz and yes, it will make you cry no matter how old you are." 9/10 "The story is engaging, the songs are catchy and, on occasion, incredibly funny. If you don't laugh out loud at 'Those Were The Days', where the teachers sing about the halcyon days of corporal punishment in schools, then there's something wrong with you. It's mainly a musical for kid's, but adults will also get a huge kick out of it too." ✭✭✭✭✭"The tunes are gorgeous … book and score are tremendous. Knapman’s book and lyrics indulge in glorious wit and charm, complete with thrilling revelations and even the odd cliff hanger. Price has written an equally dreamy score, with melodies that you can’t help but find yourself whistling all the way home." ✭✭✭✭"Entertaining and tremendous fun … a heart-warming musical. 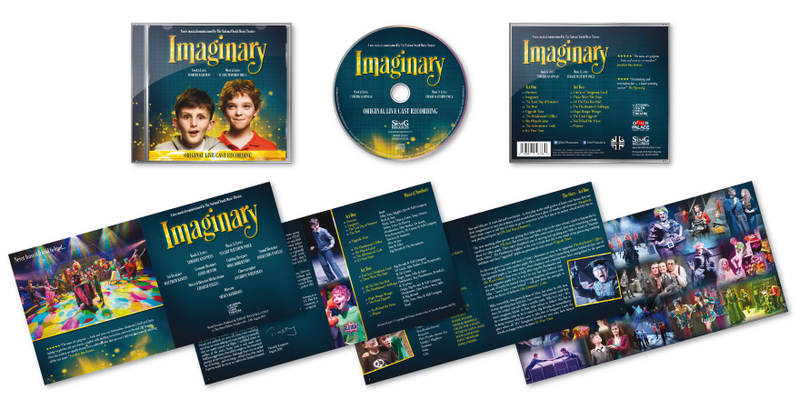 Very funny and deeply poignant with joyfully exuberant performances, Imaginary’s narrative and music hit all the right notes."